There are few things money cannot buy, from essentials such as food and clothing to luxury items like yachts and mansions. But that’s all it can buy: things. It can’t buy the abstract, impossible-to -touch stuff of life that isn’t manufactured or sold, such as faith and conviction, two attributes that have fueled Babry Oren’s passion for many years: developing, testing and bringing Folium pX to market. The price is $74.95 per bottle for 90 capsules (which amounts to about $1.25 a day if you consider the recommended dose is three capsules a day for 30 days, then take a month off, and continue). So, yes, there is a price attached to Folium pX and, yes, Babry Oren is an entrepreneur who must pay the bills. But though he is determined to bring other products to market, Folium pX is what he is most passionate about. For unlike so much modern medicine, which treats only the symptoms, he is convinced that its ability to build up a person’s immune system can help combat some of the causes, or reasons, why people get sick. He also believes it can help save and improve people’s lives. Oren was born in Georgia, a country that for most of the 20th Century was under a part of the Soviet Union, and for centuries was occupied by empires ranging from the Persian and Mongol to the Arabian, Ottoman, and Russian. But its people absorbed all these diverse elements and created a rich and vibrant intellectual and cultural bastion that has produced some of the most prolific musicians, dancers, artists, chess masters, scientists, writers and politicians from all of Europe. The country’s ethnic and cultural diversity is reflected in its natural environment, as the region it is located, the Caucasus, is one of the world’s 36 biodiversity hotspots, for its array of plant and animal species, which rank among the most numerous and threatened, on the globe. Additionally, in the mountainous regions of western Georgia, there is an area considered one of the world’s blue zones, for the longevity and health of its residents, credited to their exercise, diet, and lifestyle. Along with being proud of all these influences, Oren is also Jewish, his genetic roots part of the same soil of one of the oldest Jewish communities in the world, which traces its history back to the 6th Century B.C. (Georgia also had one of the earliest Christian communities). That mix of Georgian and Jewish influences, Oren says, has helped him see that both share a common bond that invigorates his passion for Folium pX: that all humankind is connected, and the greatest gift one can bring to his fellow brothers and sisters is the gift of health. Babry Oren left Georgia as a young man to make his mark in business on the larger, outside world. He lived in Italy for several years before moving to the United States. A few years after arriving in America, Oren owned and operated an oil and gas land company involved in acquisition, exploration, drilling and domestic and international development. In 1991, Oren, who earned his master’s degree in economics specializing in industrial planning, was appointed as a representative of commercial affairs for the Republic of Georgia in the western United States. That same year, he was appointed Representative of the non-profit Peace Fund of Georgia. He has also expanded his company’s services to include wireless telecommuting and interested businesses in one of Russia’s largest cities. Along with his master’s in economics, he also completed schooling as the Export Institute of Israel in Tel Aviv. 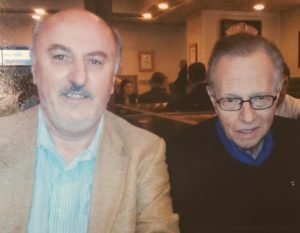 He is fluent in more than six languages and through his extensive travels, he has met a who’s-who of prominent politicians, scientists, artists, business people, and athletes, ranging from prime ministers of Georgia and former U.S. President Gerald Ford to Armand Hammer, Larry King, former California Govs. Pat and Jerry Brown, nuclear scientist Dr. Edward Teller and Wilt Chamberlain and many others. But it was a person he met in Georgia, on the eve of his having to make a major health choice, that put Oren on his path to Folium pX. Doctors told him in America that he had to choose between major reconstructive surgery on his knees or walking impaired the rest of his life, Shortly before he had to make the choice, Oren visited Georgia and a friend referred him to a renowned local doctor, Dr. Lomidze Rusudan, who gave the first lecture in the inaugural Georgian World Environmental Day, in 2002, Dr. Rusudan, his friend told him, used a combination of natural herbs and plants to cure hundreds of patients, many of whom could not afford regular doctors. Among her amazing accomplishments, Oren heard, was that 70 percent of fourth stage cancer patients she treated made a recovery. Though skeptical, Oren agreed to her care and, amazingly, regained full mobility in weeks, helping him to avoid surgery. Oren stresses that though Dr. Rusudan used natural remedies, which healers in Georgia have used for centuries, she was also highly educated. And, though he admits that his extensive study of other subjects, such as mathematics and chess, does not include medicine, he feels that she was more than an herbalist using recipes handed down for generations, but engaging in phyto-therapy, a term created in the 20th century to describe medical practices that use a science-based approach in the use of plant-derived medications to help heal people. Unfortunately, Dr. Rusudan, who was written about extensively in European, Russian and Georgian newspapers, died shortly after treating Babry Oren. While her clinic remained open, the loss of her skill, empathy, and knowledge was irreplaceable. But Oren had personally experienced something he wouldn’t have believed possible otherwise. And while he began researching the connection between scientifically evaluated and tested medicine derived from plants, he found very little information. But his radar was on. But little did he know that one of the greatest man-made environmental disasters in recorded history would lead him to it. On April 26, 1986, human error led to the meltdown of a nuclear reactor in Chernobyl, located in present-day Ukraine. Though estimates of predicted deaths from radiation exposure vary widely, from the 9,000 estimated in a Proceedings of an International Atomic Energy Agency conference in 2005 to nearly a million, more than 300,000 people had to be resettled and there is no definitive number as to how many people were exposed to how high a level of radiation. But testing of radiation levels began in earnest, including the hundreds of thousand workers involved in the clean-up in 1986 and 1987, as did treatments designed to remove radiation from those with high . One of those treatments was created by a group of scientists, led by Academician Vazha Khositashvili, and would eventually become Folium pX. In 2005, a friend in Georgia told Babry Oren of a doctor who had treated 31 couples that had been unable to conceive. Over a span of 18 months, 28 had their first child. One of the three products the doctor was using was the one created by the aforementioned scientists. After conversations and meetings, he started negotiations with the creators and, two years later, he obtained full control of the product for international manufacturing and marketing. Babry Oren started his corporation in 2008 and then began a four-year process of rigorous testing in multiple countries, including scientific analysis of animal and human tests. 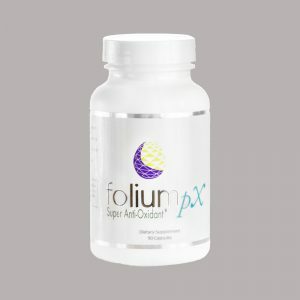 He was interested in any health advantages that Folium pX possessed but was particularly intrigued by how effective it was in reducing the levels of heavy metal toxins in the human bloodstream. And what the research showed, time after time, was that Folium pX “absolutely lowered the amount of heavy metals. No one’s levels were the same or higher,” Oren said. 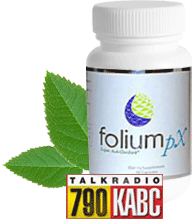 Documented scientific testing is what Oren feels makes Folium pX the safest, most effective and best of the many nutritional supplements that claim they cleanse the body of toxic heavy metals. But, Oren admits, he doesn’t quite understand why. Nodar P. Mitagvaria – Academician of the Georgian National Academy of Sciences. One of the most distinguished scientists in the world, among Academician Mitagvaria’s specialties are neuroscience (how the brain works), and the physiology of humans and animals. Academician Mitagvaria oversaw much of Folium pX’s lab testing on animals. Frank Cousineau – President of the Cancer Control Society and President of the Cancer Victors Society. The author of several books on successes in alternative medicine, in many ways Cousineau has been the “heart and soul of this company,” Oren said. 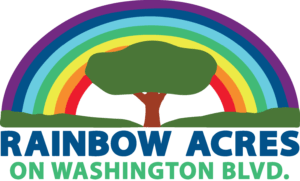 Dr. Joel Wallach – A 1991 Nobel Prize nominee for his discoveries in the use of trace minerals to prevent newborns from contracting catastrophic diseases, and the winner of the Klaus Schwarz Commemorative Medal, sponsored by the International Association of Bioorganic Scientists. Dr. Levan Khositashvil – Dr. Khositashvili has served as chief ecologist and research science for the Radiology and Ecology Institute in Georgia and has published 35 articles relating to his field. He has also earned degrees or certificates in the fields of ecology, physics, mathematics and pharmaceutical sciences, in which he earned his PhD in 2006. Dr. Luba Diangar – Among Dr. Diangar’s many accomplishments, which include a master’s degree in genetic engineering and a doctorate in medical sciences, is that she oversaw NASA’s Life Support System Project for 10 years, which included diagnostic testing of all astronauts before and after simulated and actual time in space. 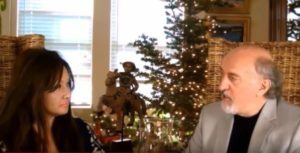 Edward Griffin — A well-known and prolific speaker, author and filmmaker on a wide array of subjects, including alternative medicine, Griffin is among the most prominent people to give Folium pX a ringing endorsement.